The Bobby Floyd Trio is a favorite of Columbus, Ohio and continues to amaze audiences at each performance. Floyd is known for his jazz styling on piano, keyboards, and most notably the B3 organ. 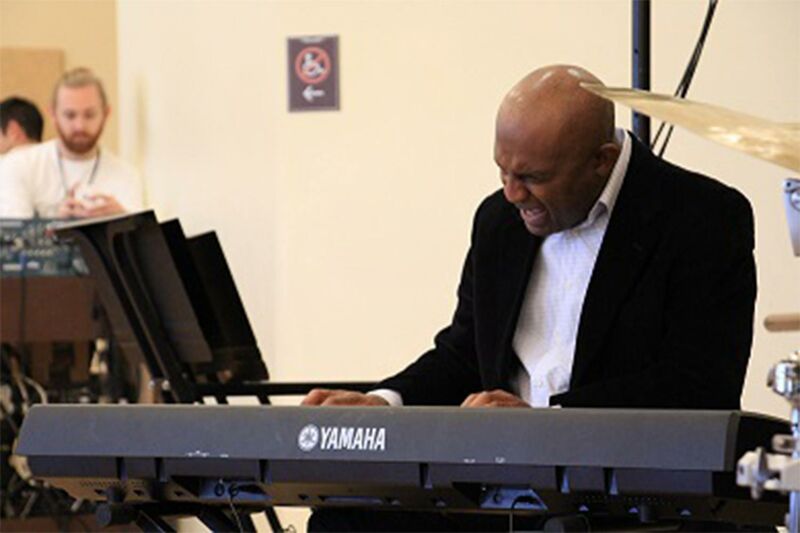 He has frequently accompanied the top jazz players and vocalists around the world and continues to frequently bring his soulful music to the stage with the Columbus Jazz Orchestra. This March, the Bobby Floyd Trio will play alongside another Columbus favorite, Mary McClendon. Mary McClendon is a jazz vocalist raised on the south side of Columbus where she frequently sang in her church choir. Her love for singing brought her to a three-year run performing at Clyde’s at Courthouse Square amongst national and international artists.Since then, McClendon has performed all over central Ohio and regularly tributes jazz greats like Ella Fitzgerald, Nancy Wilson, and Billie Holiday. PBJ & Jazz concerts are $5 per person at the door with a family maximum of $20. Children receive a peanut butter & jelly sandwich, juice and a cookie. The 2018-19 Fall/Winter season concerts are held in the ballroom in the Lincoln Theatre complex, 769 E. Long Street, Columbus, OH 43203.